I think gray is a perfect neutral that will go with just about any color outfit. I can picture it paired with shades of fuschia, black, red, dark navy and mustard to name a few. 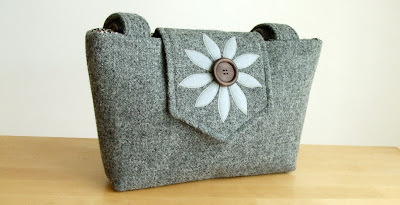 The purse above is made from Harris Tweed wool in a medium gray with a light gray wool felt applique and a wood button. I recently purchased some wool felt and it is perfect for making appliques with. I ordered quite a few colors so I can experiment with different shades. Yesterday I added a couple of bags to the Pesky Cat Designs shop including the purse shown above. More bags will be added this afternoon. For anyone that is interested I am now taking custom orders. See my shop policies for more information. 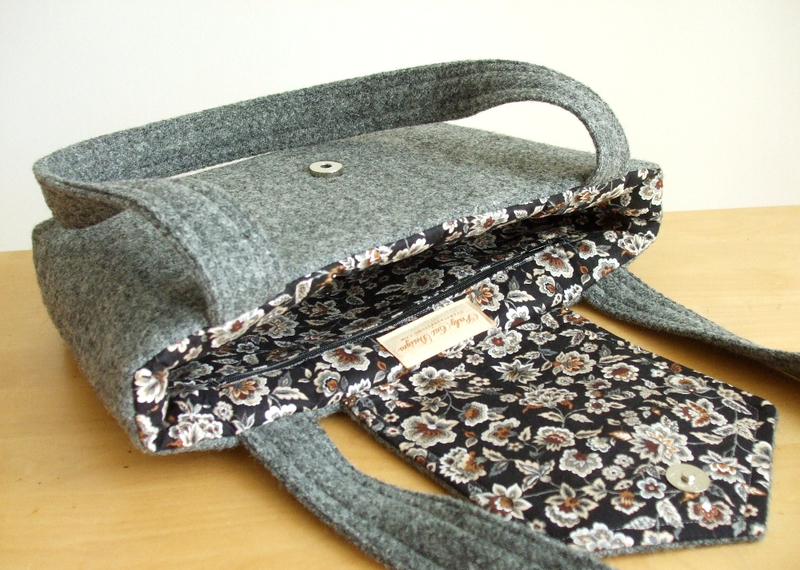 This week I will be working on a new collection of Harris Tweed wristlets. Stay tuned! Hi again dear Elisa ! Beautiful! Love the inside fabric choice, too. I completely agree with you! I"m most obsessed with grey! Thank you-and deserve a large sewing room. Esme- Thanks back to you! Hope you get your dream kitchen. That is indeed a great neutral bag! Love it.